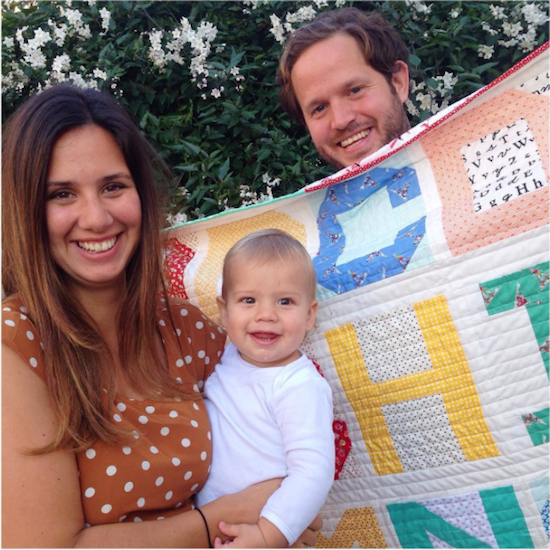 8 months later baby Benjamin was born, but alas the quilt wasn't ready. Doh. Festival Of Quilts prep, general life stuff got in the way, yada yada … it was always the bottom of the list. Then my patient (cough!) sister gently reminded me it was his birthday coming up in October, so perhaps I could finish it?? ;-) so I got to work last month and basted and quilted it. Finished the day before we travelled to London for his birthday, in typical last-minute-Jessie fashion. 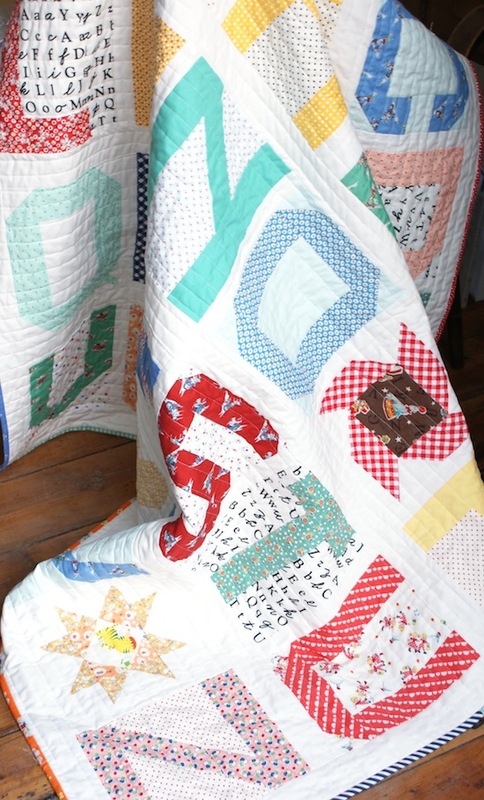 It was the best thing gifting the quilt! Sooo special. They all loved it, phew! Aren't they a cute bunch too! I'm super sad not to have any better official finished photos though, I can only blame myself for finishing it in the late afternoon and not being able to take any decent photos. Hopefully these iPhone pictures will do! I used a really nice backing fabric as well, which of course I forgot to photograph. It has a really fun scrappy binding which works well with the low-volume and Kona Snow background. How beautiful...............the Family and the Quilt. Awesome job well done !